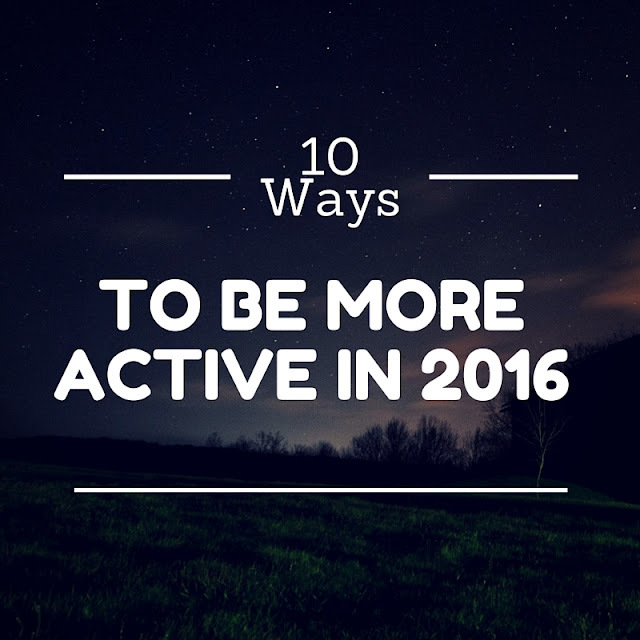 It's a well known fact that a sedentary lifestyle is an unhealthy one, but not everyone has free time to work out so I wanted to put together 10 easy ways to be more active in 2016. These are things that you can do in your everyday life so you don't have to go out of your way to find extra time to do them. When you park at work or at a store, choose a spot that's farther away so you have to work even more to get in and out. Anytime there's an elevator, opt for the staircase. Trust me, it'll make you dance a bit! Most of us sit still when we talk on the phone, but if you walk around you'll get some extra steps in. Hey, anything's better than sitting around not moving, right? Twice a day, get up and walk away from your desk and either take a lap around your building, or take the stairs a few times. Keep moving! Take a walk when you let your dog outside instead of just tying them out. Instead of going through the drive through wash, use one of the bays and do it yourself. You'll move A LOT because it's usually a race against time until your coins run out! When you watch your favorite show, get up and walk around your house for the commercial breaks. When you unload groceries from your car, don't take as many bags as you can. Instead, let it take a few trips so that you can get some extra steps in. What do you do in order to be more active? love the tips!! i live in an apt so i try to take stairs instead of the elevator! I do that at work. every little bit helps right?